Kevin Gould (Concordia University) on Silvia Posocco’s Secrecy and Insurgency: Socialities and Knowledge Practices in Guatemala. 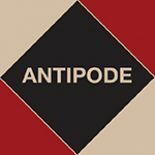 As you might know, all Antipode book reviews in our online repository, Wiley Online Library, are now freely available. While this digital archive will remain in place, from January 2013 we’ve no longer published book reviews in the journal; all book reviews have migrated to AntipodeFoundation.org. This has allowed us to feature not only more reviews, but also more substantive reviews (in the style, say, of the London Review of Books or the Boston Review), more quickly. The makeover, we hope, is transforming the book reviews section into a more capacious ‘Book reviews, etc.’ section, that may now feature, in addition to book reviews, reviews of film and music, grey literature, and political pamphlets – in fact, any texts that have something to say to the radical geographic imagination. We also welcome reviews of non-English-language texts – reviews that break down some of the barriers between language communities, enabling hitherto under-represented groups, regions, countries and institutions to enrich conversations and debates in Antipode. If you’ve an idea for a review, please see our guidelines and contact our Reviews Editor, Andy Kent. Antipode have a number of new, open access, book reviews available. This entry was posted on 8 July 2015 by Antipode Editorial Office in Reviews and tagged abolitionism, anarchism, antebellum geographies, drone warfare, eco-cities, Ejército Zapatista de Liberación Nacional, ethnography, feminist activism, Fuerzas Armadas Rebeldes, gentrification, Guatemalan Civil War, guerrilla warfare, low carbon economies, military-industrial complex, Movimento dos Trabalhadores Rurais Sem Terra, neoliberalism, peasant struggles, politics of consumption, race and racism, state violence, syndicalism, Transition, transnationalism, utopianism.